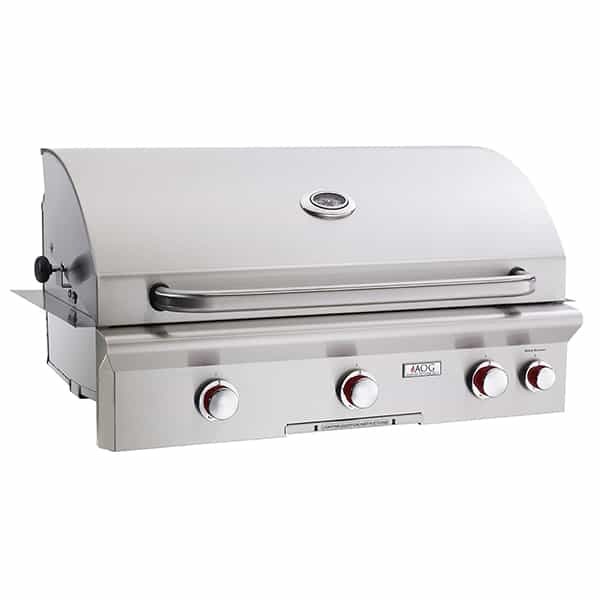 The American Outdoor Grill 36’’ NBT Grill Head is the largest in the grill head T series. The L series represents a revolutionary advance for AOG. The L series features a push-to-light piezo ignition system that eliminates the need for both electricity and batteries. This makes the T-series grill heads self-sufficient cooking pieces for your outdoor kitchen. The grill head is made to slide into a measured cutout on either a grill island or outdoor kitchen unit. The entire grill head is made with outdoor grade materials, from the outdoor silk finished stainless steel hood to the inside stainless steel cooking grids, stainless steel burners, vaporizer panels and more. The 36’’ T Series Grill Head delivers 648 square inches of primary cooking space, 50,000 BTUs on the primary burner, and 12,000 BTUs on the backburner. Take control of your outdoor kitchen by adding a grill head with versatile uses and a sleek appearance. Cutout Dimension 37" x 19" x 8.5"